First impressions count. 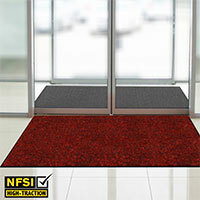 Our commercial floor mats rental program will ensure that you are making the best impression when customers come through your doors. 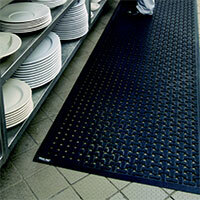 One of the best features of our matting program is that mat rentals require NO UPFRONT COSTS, so you’re saving money from the start eliminating the need for store-bought mats that don’t last. 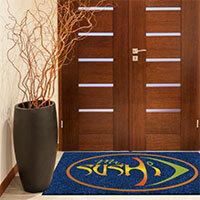 Why Invest in Tritex Custom Logo Mats? The Tritex mat rental program can help you avoid risk, elevate image and save money by protecting your flooring and maintaining cleanliness to your facility. 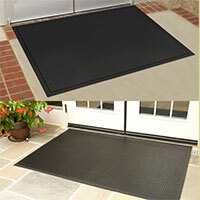 Imaging how great it would be to have us visit your place of business on a regular schedule to pick up all soiled floor mats and replace them with fresh, hygienically clean ones. 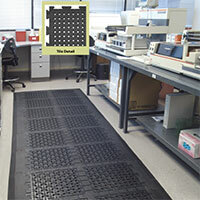 All our standard rental mats are 90 mil in thickness and antimicrobial treated for optimal cleanliness. Standard sizes are 3×5, 4×6 and 3×10. 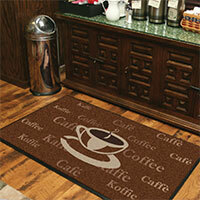 We also offer special sizes that most of our competitors don’t offer. See our selections below. Functional. 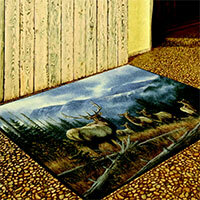 They are not just great as marketing tools; they also work perfectly well as actual mats because Tritex makes sure that they don’t only look great but more importantly, that they are made of high quality materials. Reusable. 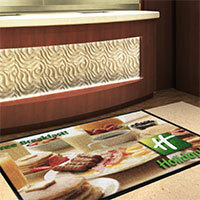 With proper maintenance, custom logo mats can last you for years serving both its marketing and functional purposes. Easy to transfer. Custom mats are as easy to use around the office/shop/workplace as they are to distribute to retailers/distributors/loyal customers. 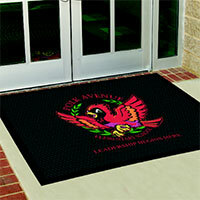 They make for the perfect office accessory as well as giveaways to the people who are helping your business thrive.